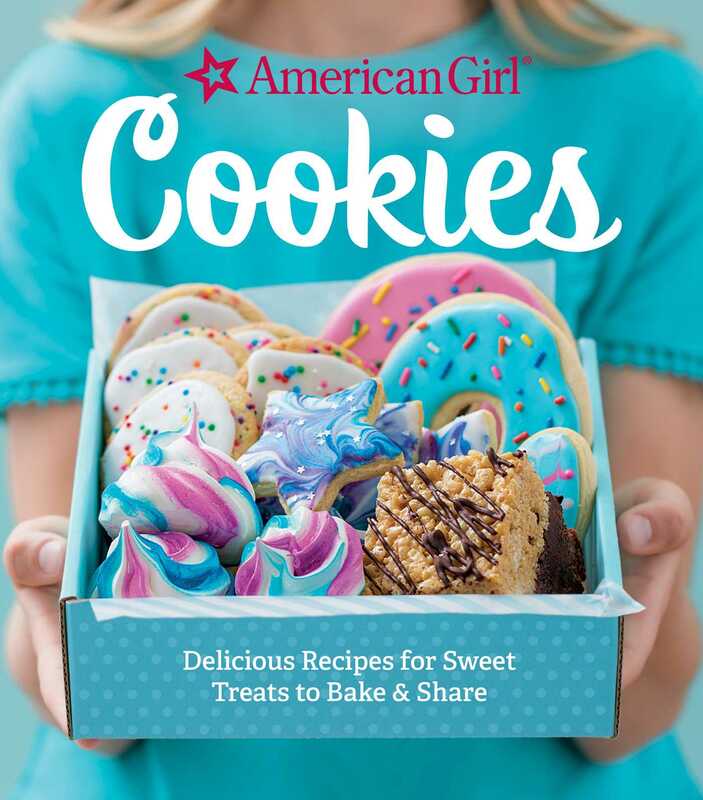 From the well-loved American Girl brand comes a favorite topic: baking cookies! With more than 60 recipes for mouthwatering creations, Cookies will be a go-to guide for aspiring young bakers in search of sweet inspiration—whether looking to create delectable treats for after-school snacks, holiday gifts, or weekend get-togethers with friends. Cookies features 60+ recipes for one of America’s favorite sweet treats, from classic favorites to fresh, fun, and contemporary creations. Chewy, crunchy, gooey, or crumbly, choose from a delectable collection of drop cookies, sandwich cookies, cut-out cookies, brownies, and bars—like cinnamon-y snickerdoodles; chocolate sweetheart sandwiches; lemon squares studded with coconut; brownies covered in gooey chocolate frosting; rainbow sugar cookies; and cookie cutouts decorated with every kind of sprinkle! In addition to essential baking tips and safety knowhow, discover fun skills like piping and flooding icing, making natural food dyes, and rolling and storing dough like a pro. Whether you want to bake the perfect after-school snack, fun desserts for a party, or a dozen special treats to gift and share, this beautifully photographed collection of recipes will inspire you to bake cookies for any and every occasion. This guide has everything you’ll need to become an expert cookie maker in no time. So grab your friends, your rolling pin, and get baking!